It’s the season of giving, and we’re giving all right… big time! From now until Thursday, December 22 at 8 pm EST, you can enter the running to win $500 at Quality Bath – all you have to do is love our products. Just visit us on Instagram @qualitybath, like the giveaway image, follow our designers (@brepurposed, @pheintz, @sweet_domicile, and @monicamariedesign), and tag a friend in the comments for your chance to win big! Today, we’re featuring Monica Joseph of Monica Marie Design. Though Monica’s days are spent in the banking industry, her heart is firmly planted in design. When she and her fiancé bought their first home three years ago, Monica discovered that her true passion – and talent – lay in home styling. A self-proclaimed home design addict, Monica quickly became a fixture in design social media, sharing her clean, fresh signature style in home decor, event planning and styling, and tablescape design. Symmetry, geometry, and overall coolness make this bookshelf the perfect piece for a display of collectibles, books, accessories, or even shoes and handbags! Made of textured iron bar stock and finished in bright silver leaf, it’s not just practical furniture; it’s a work of art. 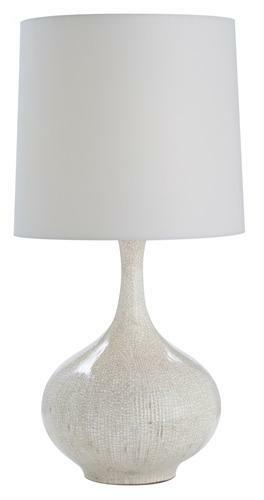 Boasting both dramatic curves and sleek lines, this lamp is simultaneously subtle and striking. Its bottle-shaped base is finished in a textured, glossy crackle glaze and topped with a putty-colored, gray-lined shade to complement any decor scheme. The uses for this versatile tray are just limited by your imagination. Line up bottles of perfume atop a dresser; serve drinks in the dining room; display it as a standalone piece. The round mirrored base perfectly offsets the gold-leaf raised rail of graphic, interlocking curves. Your next dinner party is about to get a whole lot more exciting! 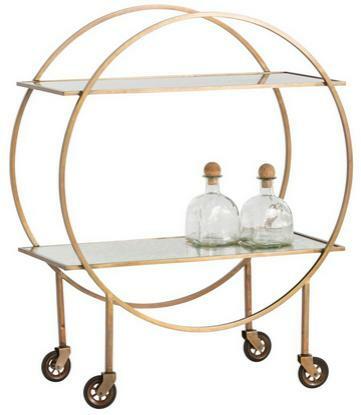 This statement-making classic Art Deco bar cart – with two floating antique-mirrored shelves sandwiched between antique brass parallel circles – says more about your excellent taste than the drinks wheeled in on it will ever say. 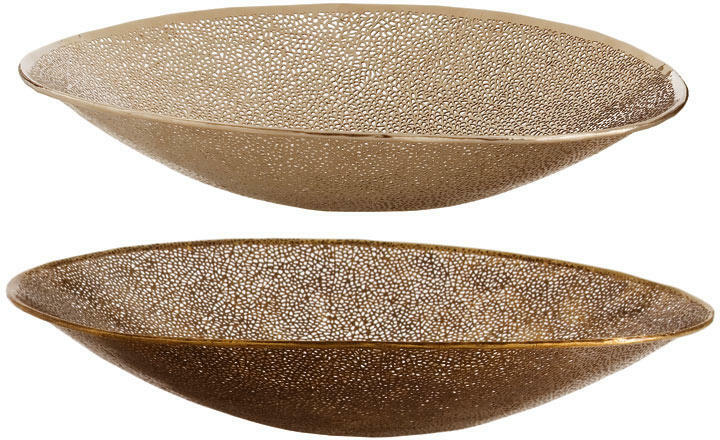 Hold everything from keys to decorative items to office supplies in these versatile – but undeniably gorgeous – bowls. The textured metals (antique brass on the larger bowl and polished nickel on the smaller) will blend with any decor… while standing out. Which one’s your favorite gift? Weigh in with a comment below, then head over to Instagram to join our exciting giveaway!